Enjoy these six tech articles as we come down the homestretch into the weekend. Greg Otto at fedscoop wrote this interesting piece about IBM’s Watson-as-a-Service. IBM announced last week it has moved its cognitive computing system into the cloud to form the Watson Discovery Advisor, allowing researchers, academics and anyone else trying to leverage big data the ability to test programs and hypotheses at speeds never before seen. Since Watson is built to understand the nuance of natural language, this new service allows researchers to process millions of data points normally impossible for humans to handle. This can reduce project timelines from years to weeks or days. The ability to understand natural language queries is a big deal. You can ask, for example: “I’m going to be in Boston. I like basketball. What do you suggest, Watson?” You might get several answers: Celtics tickets, Boston College tickets, Harvard tickets. Or in the offseason, Watson may suggest you drive to the Basketball Hall of Fame in Springfield (MA). Companies are already using Watson this way. Fluid, Inc.’s Watson-based retail solutions deliver granular results to queries such as “I am taking my wife and three children camping in upstate New York in October and I need a tent.” Consider this: Watson has been taught to pass the medical boards. Would you trust it to diagnose you and prescribe medication? What if you claim to be in pain (e.g., back pain, migraines, depression) and Watson doesn’t believe your subjective input? Here’s more food for thought: What if Watson could learn to code? Why not? It’s hardly heretical to suggest that as Watson works with developers, it will one day be able to generate solutions based on a natural language query. That’s equally exciting and worrisome. Now if you want to poke a little fun at Watson, read this Steve Lohr piece in The New York Times (2013) about Watson in the kitchen. Just skim it -- the kicker is at the end. Ed Lane of BBC News wrote a fascinating article about how technology is changing disaster relief. Alongside tents and drinking water, RAF planes dropped more than 1,000 solar-powered lanterns attached to chargers for all types of mobile handsets to the stranded members of the Yazidi religious community below. It is the first time the lanterns have been airdropped in such a relief effort, but humanitarian workers say it is part of growing efforts to develop technology designed to make a difference in disaster zones. 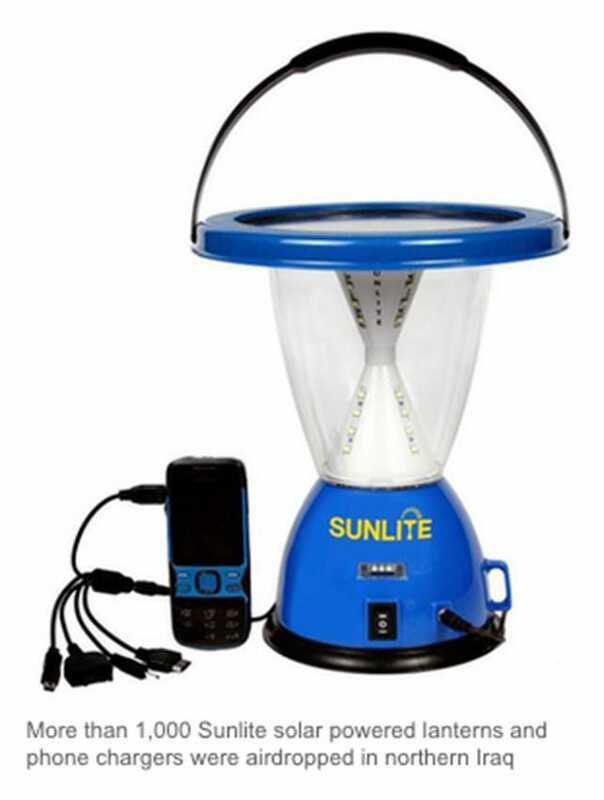 Imagine a solar-powered lantern that you might take camping with an umbilical cord to a power source with connections to myriad types of phones. The inability to communicate during crisis situations is debilitating, and becomes more so within days (see below). You typically have about three days to restore communications before the bad people realize the good people aren't in control any more. There's plenty of technology for rich white men. It's the rest of the world that we need to help. As he introduces us to the Sunlite solar-powered lantern, Lane provides a welcome reminder not only of the wonders of technology being used in developing countries, but the need for even more innovation and distribution of technology and knowledge worldwide. Sunlite Lantern. Source: BBC News. Death by distance. Roy Smythe, a Forbes contributor, argues the merits of healthcare delivered from a distance. Fellow Forbes contributor Roy Smythe jumps right into the question posed above. He begins by citing Hannah Arendt and referencing Stanley Milgram in support of his proposition that we can become desensitized to death. That’s not new, and Smythe makes clear that he’s not interested in that problem here. What’s interesting is Smythe’s corollary argument that the distance between healthcare providers and patients has become so great that healthcare delivery is at a “decisive turning point in history that separate[s] whole eras from each other,” to quote Arendt. The thing that heals people is relationships – the problem is that technology has the ability to actually facilitate relationships, but it can also get in the way of them. Above all, Smythe doesn’t want distant medicine to lead doctors to be desensitized by death. He draws an interesting parallel -- the use of drones in war. Without boots on the ground or vivid and live battlefield images, death can become abstract and sanitized. Navigating a drone to a drop site is relatively easy--and we should all emphasize relatively--in terms of seeing and feeling the results of war. By contrast, tossing a grenade over a wall, driving over an IED, engaging in close quarter combat, and other critical military missions cannot bring one any closer to both one’s enemy and the realities of death. Climbing out of this analogy back into the world of medicine can be difficult. When we do, however, we find that “distance medicine” at first seems innocuous by comparison, and then every bit as dangerous. Rick Delgado at Smart Data Collective contributed insights about potential hurdles for the Internet of Things. While businesses may talk excitedly about the Internet of Things, consumers are largely unaware of it. In a recent survey of 2,000 people, 87% of consumers said they had never even heard of the IoT. While hearing about the Internet of Things doesn’t necessarily signify a consumer would not use an item connected to the IoT, the survey results show a lack of awareness and understanding about what can be gained from it. If this lack of knowledge about the IoT leads to lack of interest, a major driving force for widespread adoption will be missing. In one of the worst tech predictions of all time, IBM President Thomas Watson stated in 1943: “I think there is a world market for maybe five computers.” Talk about punching in the mouth the possibility of disruptive innovation at IBM. Watson was misguided and incorrect, but hardly dumb. Whether we wish to believe it, Mr. Watson, I suggest, knew far more about his industry at the time than today’s experts know about the Internet of Things, which is in its infancy but growing fast. According to Gartner, there will be approximately 25+ billion sensors in the world by 2020. It’s not surprising that a whopping 87% of consumers are unaware of the billions of sensors around the world. What would (I would hope) be surprising is if we don’t follow in Google’s footprints to widen Internet connection worldwide. That would be a Tragedy of the Commons with a mean twist. We’re not depleting a resource. On the contrary, it grows daily because we feed it. Our “just” not sharing precludes a global race to the top of technology, which I’ll restrict here for the sake of argument to non-military uses. Now that’s a race we should all want to enter. Tracey Wallace over at the Umbel blog (Truth in Data) writes about data-driven cities and the Internet of Things . There are no light switches or water taps in the city; movement sensors control lighting and water to cut electricity and water consumption by 51 and 55% respectively. (Masdar, UAE). These initiatives are amazing. Think about what Masdar is doing. It’s like an automatic, energy-saving Clapper (“clap on, clap off”). Consider their savings and what it would mean for energy consumption if such a program were implemented to the extent possible around the world. Wow. There's certain to be an enterprise wrapped around this as we speak. So . . . which of you will be the first to sit on a bench at the edge of a park and use a nearby phone booth across the street as your hot spot? That’s pretty cool. Richard Boire at the Smart Data Collective poses the following question: The Demise of the Data Scientist: Heresy or Fact? The CEO of Williams-Sonoma certainly has an opinion. [The author] hypothesized that data scientists will in the future become like switchboard operators: obsolete. The primary reason for this declining demand according to the author was that increased automation and operationalization of business processes will not require the technical skills of the data scientist. With Big Data and big data analytics, the need for analytics and more customized type solutions is experiencing exponential growth. Methods and approaches in employing analytics need to be quicker and more flexible which require IT support for more operationalization and automation. This does not replace the data scientist. If Williams-Sonoma has a “secret sauce,” it is these teams working together in remarkable alignment to develop and execute our strategy and tactical priorities. In my 19 years at the company and four as CEO, I’ve found that the very best solutions arise from a willingness to blend art with science, ideas with data, and instinct with analysis. It's impossible to read about technology today without running headfirst into artificial intelligence (AI) and the topics under its umbrella: autonomous driving, machine learning, deep learning, ethics/law/regulation, military applications, healthcare, FINTECH, and even customer experience. At that second level, it's startling how much one encounters China and its extraordinary investments in artificial intelligence. Chinese advancements are fascinating, but for me, at least, also downright worrisome -- what I'll call my "fascinated skepticism". Please enjoy the articles below as you head into the weekend. I don’t care for swarms of insects or Hitchcock-inspired birds, let alone swarms of miniature drones. But alas…. The future of drone swarms and their implications on the future of warfare are topics of much debate. The idea of using drones en masse to overwhelm a target, achieving a tactical advantage through numbers, is a popular notion. However, the orchestration of China’s new drones illustrates more than the employment of sheer numbers and drones operating in close proximity to one another. The performance put on near the end of 2017 demonstrates China’s potential skill in effective swarm systems. Flying 1,108 tiny dronebots in as a single unit illustrated China’s acuity and interest in autonomous flight capabilities, not simply of drones but rather of smart drone instruments capable of much more. Chinese military drones also have the ability to repair themselves, which is astounding. I strongly recommend that you check out the rest of the article. It’s very good. A WIRED article today focuses on Tristan Harris, a former Design Ethicist at Google. The article provides an interesting perspective to ethics and technology than the majority I’ve read. There is no discussion of killer robots, but rather a focus on the relationship between technology and mankind. According to Harris, the complexity of technology such as iPhones stimulates the mind via apps, for example, “has become an existential threat to human beings,” -- language that closely parallels language used by Elon Musk. Email alone is literally addictive, stimulating the release of dopamine with each notification of received mail. Those neurological rewards (dopamine) kill neurons when overstimulated by video games or time spent on Facebook, according to Robert Lustig, a pediatric endocrinologist at UC San Francisco (UCSF). Harris is calling on the companies themselves to redesign their products with ethics, not purely profits, in mind, and calling on Congress to write basic consumer protections into law. We live in an environment, this digital city without even realizing it. That city is completely unregulated. It’s the Wild West. It’s like, build a casino wherever you want with flashing lights and flashing signs. Maximize developer access to do whatever they want to people. Shouldn't there be some zoning laws? We see another human-tech relationship in the domain of AI. The ethical, legal, and regulatory dimensions of AI are, I believe, the most important that we must confront in order to both unleash AI’s beneficent potential while simultaneously protecting ourselves from possible outcomes such as The Singularity. While the notion of a tipping point at which machines outsmart humans--i.e. they would pass the Turing Test, which at that moment would instantly become obsolete--and then think of machines (not just cars) having autonomy that humans cannot control. Already, rogue AI agents at both Google and Facebook wrote programming languages for inter-company communication between machines that some of the smartest people in Silicon Valley could not decipher. Each company pulled the plug on the rogues. What happens when rogue communication--we’ve just seen the tip of that iceberg--occurs between companies? Or between a company and a nation? That's worth a double take. In recent weeks, prominent news sources have reported on the Chinese government’s use of short- and long-range biometrics to identify people by matching their traits against a huge national database. China already operates the world’s largest surveillance state with some 170 CCTV cameras at work, but its line of sight is about to get a new angle thanks to new smart eyewear that is being piloted by police officers. The smart specs look a lot like Google Glass, but they are used for identifying potential suspects. 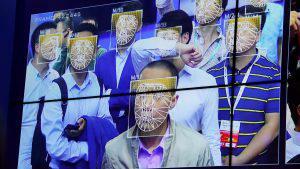 The device connects to a feed which taps into China’s state database to root out potential criminals using facial recognition. 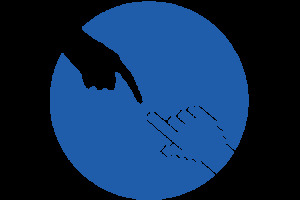 Officers can identify suspects in a crowd by snapping their photo and matching it to the database. Beyond a name, officers are also supplied with the person’s address. The glasses have been deployed in Zhengzhou, the capital of central province Henan, where it has been used to surveil those traveling by plane and train, according to the Wall Street Journal. With Chinese New Year, the world’s largest human migration, coming later this month, you’d imagine the glasses could be used to surveil the hundreds of millions of people who travel the country, and beyond, for the holiday period.This is about as Orwellian as it gets. Also, take a moment to check out BBC News’ great video of a Chinese police command center that uses biometrics fed from officers on the ground.